The X2-2 uses a high sensitivity, low noise, 3-axis, +/-2g accelerometer sensor ideal for low amplitude vibration monitoring. Data is stored at user selectable rates up to 512Hz. 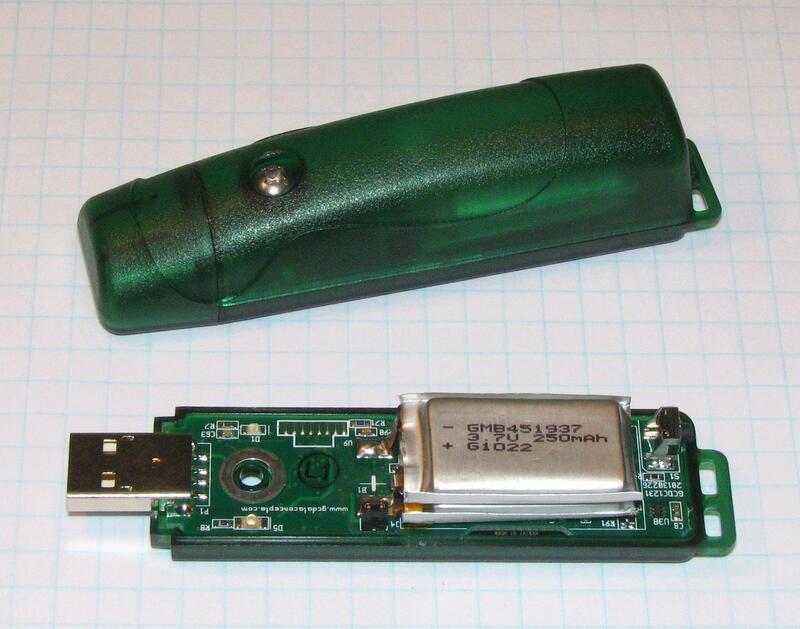 The logger operates from an internal 500mAh lithium-polymer rechargeable battery that recharges when connected to a computer USB port. The X2-2 acts as a USB Mass storage device (like a USB flash drive) when connected to a computer, which provide quick and convenient access to data files. Data is stored as plain text Comma Separated Values format (.csv), ready to be imported into any spreadsheet, word processor, or end user application. Read more about our data logger product-line features. For more details, specifications and how to use the X2-2 please refer to the user manual(.pdf). The user manual includes an example data file and instructions for converting the data and time stamps. Detect the vibration of a freight train. Capture the engine vibration on a passenger cruise ship. Monitor water flow through pipes. No special software tools are required to configure the logger or retrieve the data. We recommend using a spreadsheet or math program such as Matlab, Octave, or R to analyze and plot data. Data is contained in easily readable plain text files. Meta data starts with a ";" and the comma delimited data (.csv) can be analyzed with a spreadsheet or text processor as shown here.